It is with pleasure we present to you a solo exhibition of eight selected paintings by Bay Area artist Kara Swedlow, titled "Restoration Somewhere". 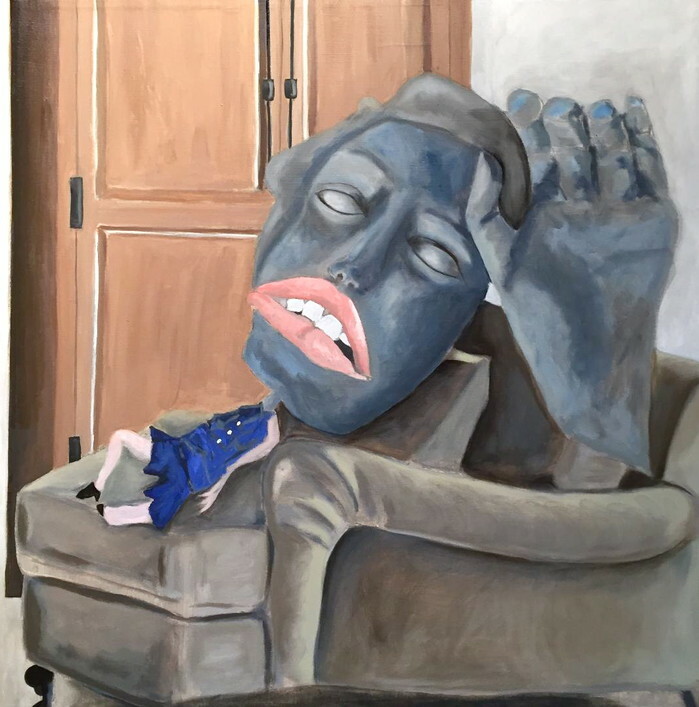 This body of work is the result of a year-long intense studio practice, a twelve-month time frame Swedlow spent painting under the guidance of art professor and instructor Dickson Schneider. You are cordially invited to join us at the Opening Reception to meet the artist, indulge in a conversation, and enjoy the art. "Most emerging artists don’t bring the wealth of energy and insight Swedlow brings to her painting. Everything here is the consequence of a single day confronting not knowing what to do next. She fiddled with bits of Vogue magazine, National Geographic and an Interiors catalog to create a group of collages, then for a year worked those into these paintings. One mark of mastery is to build on a quirk with everything you’ve got until it holds its own space as Ms. Swedlow has done here." I began painting, working in oils, in the summer of 2016. 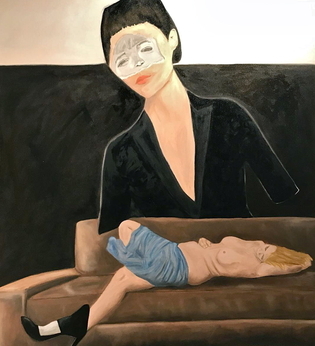 I am interested in the way the images in a painting can convey several meanings simultaneously, much like in a dream, and how images are open to the interpretation of the observer based on the personal narrative they bring to the experience of viewing. This series developed out of a dozen collages I made in a flurried burst one afternoon; after a period of trying to find some direction with my work, I realized I’d discovered a year’s worth of ideas to paint. Various images repeat and echo one another, hinting at the universal experience of interior states and multiple selves, either shared or kept private: defiance, vanity, torment, rest, fragmentation, compassion, and delight. ________________________________________©2013 Autobody Fine Art. All rights reserved.